I am by no means an expert on the subject of teaching kids to ride a bike but I can offer what I have learned from experience! I do however believe that British cycling should do more to promote the benefits of balance bikes rather than what we conventionally have which is a bike with stabilisers! Stabilisers teach dependency in my opinion and hinders the learning of the fundamental skill needed to ride a bike- Balance! 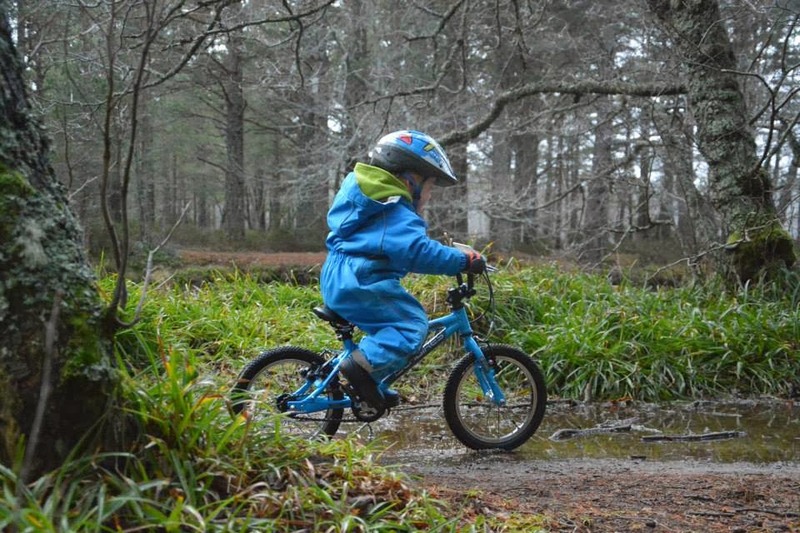 However the benefits of stabilisers are that they can be a safe learning aid and also lessens the need for parents to invest time and effort when kids are learning to ride. You can also cover more distance with pedals, you could argue! However having seen the Wee Man progress from the age of 2 to the age of 3 in his riding I would advocate a balance bike every time. The Wee Man was 2 years old when he received his balance bike. The first thing we instilled was that a helmet was to be worn every time he used the bike and this has made wearing a helmet a normal thing not a big thing! We also always lead by example! The first thing we worked on was getting him to sit on the seat as it was more natural to straddle and not sit. By increasing the seat height slightly this helped! The biggest lesson we took from reading other peoples advice was small and often. If they want to walk, push or do something else then let them as we all know toddlers can't be rushed! We took his bike everywhere with us and for this reason it is worth investing in a light one! Although they cost a bit they retain their second hand value. Riding with others and on different terrain helps keep them interested and challenges them to transfer their riding skills in different situations. 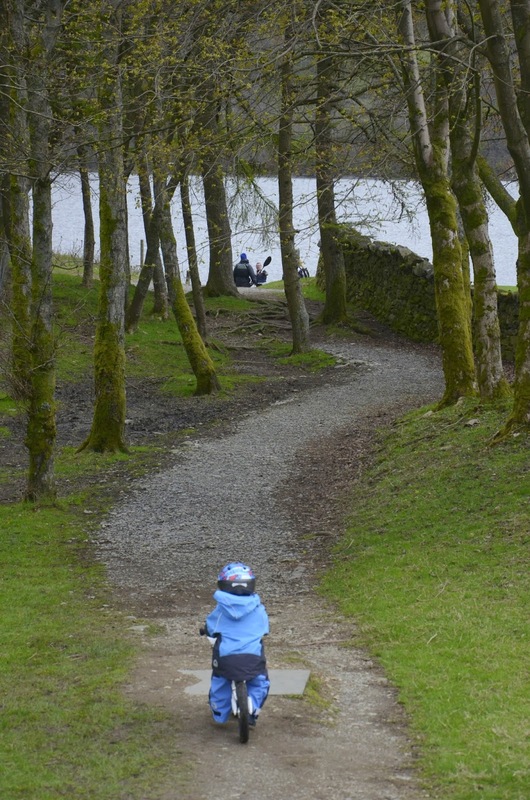 The wee man entered the mini mountain mayhem event and he was surrounded by balance bikes and wee people! It soon becomes evident when they are ready to move to a bigger bike! Fortunately for us it coincided with Christmas! We looked at all the options and decided to go for an Isla Bike. The smallest apart from their balance bike range was the Cnoc 14. There was never any talk of stabilisers! 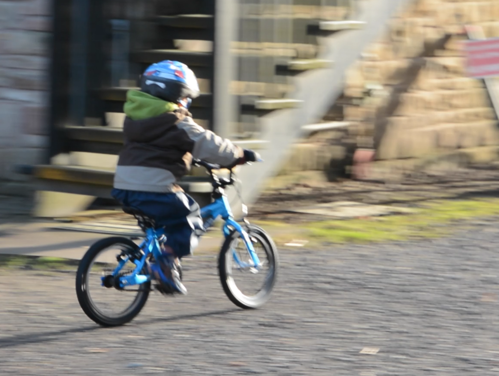 Why…..well the fundamental skill needed to ride a bike is balance and he had already mastered this! The second skill he needed was to learn to pedal this really is the easy bit! On Christmas day he got straight on his new bike and rode it! By Boxing day he was racing us along! 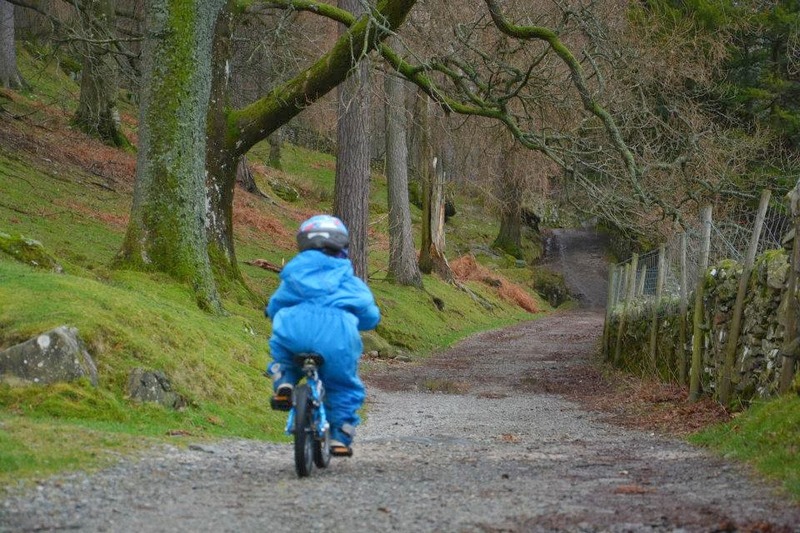 Stabilisers breed dependency and do not teach the skill needed to actually ride a bike! As for safety use a balance bike or take the pedals off and lower the seat until balance and confidence has been developed! The current skill we are working on is how to feather the brakes! The wee man loves to go a bit faster than we would like but we are getting there! Since Christmas there has been no stopping him and he continues to love the adventures he is having on his new set of wheels!